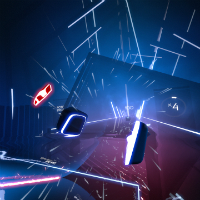 Want to get a behind-the-scenes look at the design and development of Beat Games' Beat Saber? How about the charming PlayStation VR adventure game Moss? Then you'll want to be at XRDC in San Francisco next month, because the folks who made those games will be part of the event's roster of expert speakers! XRDC is the premier conference for augmented, virtual, and mixed reality innovators, focusing on use cases for immersive experiences across industries entertainment, healthcare, education, training, industrial design, brand experience, and more. AR/VR/MR games are a key part of the show, and on XRDC's Games & Entertainment track of talks you'll find all sorts of great stuff to check out -- including "The Story of Beat Saber", a talk from Beat Games chief Jaroslav Beck which aims to show you what it took to build Beat Saber effectively, as well as some useful best practices for working on a VR game with a team based in different locations. Created by a team of three devs working remotely, Beat Saber's success story proves you don't need outside investment, a huge budget, or even a large team to develop a great VR game. Don't miss your chance to find out how they pulled it off! Also, Survios senior game designer Andrew Abedian plans to reveal the grassroots evolution of their early speed-running prototype into a pioneer multiplayer title in VR esports in his XRDC talk "Sprint Vector: Evolving VR for the Esports Scene". This is especially relevant when you consider that Sprint Vector has become a compelling competitive title for global tournaments, at local arcades, and online competitions. Attendees of Abedian's talk will learn the specific steps Survios undertook to transform their original Sprint Vector concept into a successful VR eSports title, from creating competitive gameplay mechanics to overcoming technological hurdles to encouraging community-driven events and securing partnerships with big-name companies like Intel, Alienware, Oculus, and ESL. And as we alluded to earlier, there's going to be a fascinating talk on Moss at XRDC! Polyarc's Brendan Walker is leading a session on "VR Interaction Design in Moss" which aims to explain how the Polyarc team overcame challenges with making third-person character control in VR across a range of controllers used with PSVR, Oculus Rift, HTC Vive, and Windows XR. According to Walker, when Polyarc set out to make the game (its first VR effort) using tracked controllers, they established player comfort and approachability as their highest priority.The team built their world from diorama-size puzzles you interact with in third person, which naturally led to the creation of a mouse as the main character a player would use to traverse the puzzles. These puzzles were composed of simple constrained physics interactions that could feel good even when using controllers with limited tracking. It sounds simple, but the truth may surprise you -- come out to Walker's talk to find out! At XRDC, study the healing effects of swimming with VR dolphins!